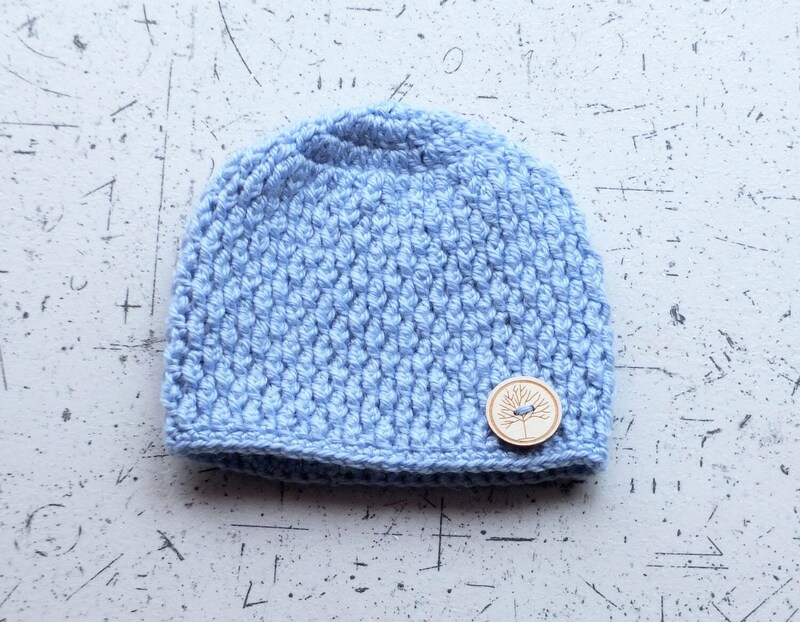 Baby boy hat was made using soft acrylic yarn. 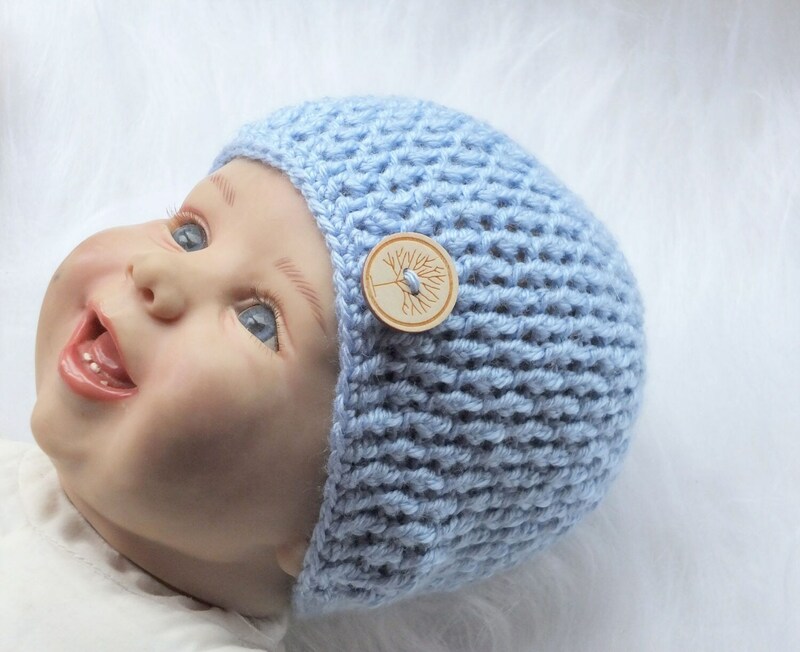 A hat is embellished with a button. 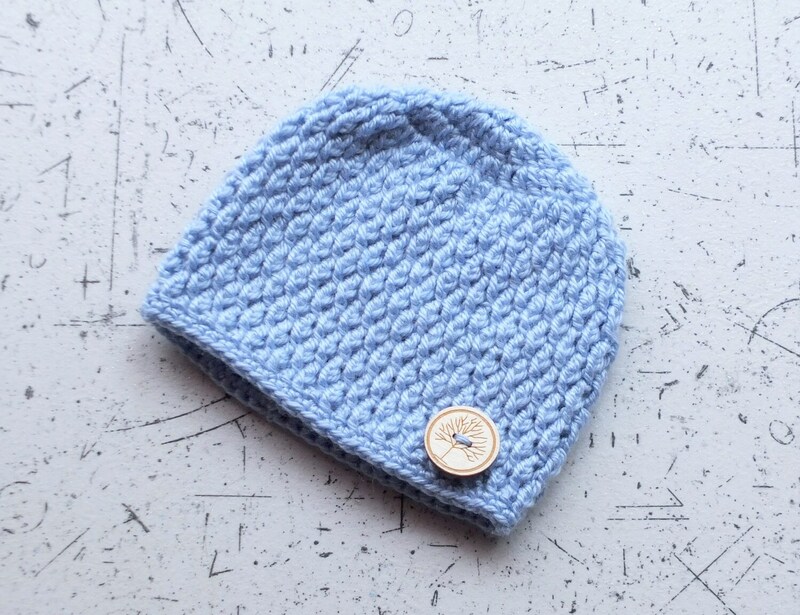 This hat is perfect for photo props or for everyday wear!